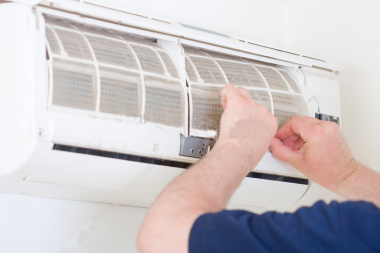 If they’re considering getting a refrigerated air conditioning service, Perth residents may be interested to know that there are some things they can do themselves. One of the best and easiest ways to keep your air conditioning system running well is to change the air filter. Many people believe that the purpose of the air filter is purely to improve the quality of the air in your home. This is incorrect; there are a number of other reasons to change your air filters regularly. What is the Purpose of the Air Filter? The primary purpose of the air filter is to remove particles from the air in your home. These particles can include pollen and mould spores that can trigger allergic reactions and cause illnesses. However, the air filter also protects your air conditioning system from damage. The air filter removes debris from the air coming into your home that otherwise would damage your system. Also, it is worth noting that your system will have to work harder if your air filter is dirty and this will result in damage over time. A dirty air filter is virtually useless at protecting your system and cleaning your air. In fact, a dirty air filter is actually worse than not having a filter at all, as a dirty filter will block the flow of air coming into your home. The air conditioning system in your home is designed to take in a certain quantity of air, and any hindrance to the airflow can make your system malfunction. The system will be overworked; this will make it more liable to malfunction and result in otherwise unnecessary repairs. There is no need to have any DIY knowledge to clean your air filter. Your systems manual will indicate where the filter is located and tell you what kind of filters to use. A simple search online for your filter type will let you know where and how to buy the correct air filters. If you want to save money, look out for discounts on bulk deals and buy enough air filters to last the entire year. It is recommended that you change your air filters regularly and many experts will say that monthly is ideal. If you need a ducted refrigerated air conditioning service or repair, contact us here at Air Cair. 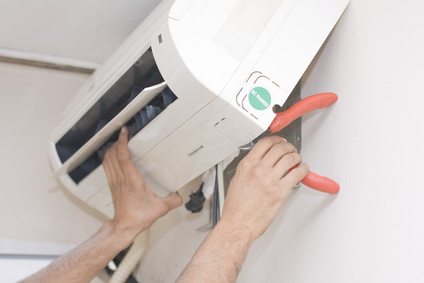 We are your local air conditioning specialists for both domestic and business systems. We pride ourselves on providing a high quality service at a price that won’t break the bank. Get in touch with us, and we look forward to discussing your needs further.